The following comments about attractions in Napa Valley have been posted from individuals. We believe that the best reviews of Napa Valley, California (CA), CA USA are written by travelers and holiday makers who have experienced Napa Valley first hand and want to share their thoughts. Can you share yours? Please help us expand this section of our Napa Valley World Guide. 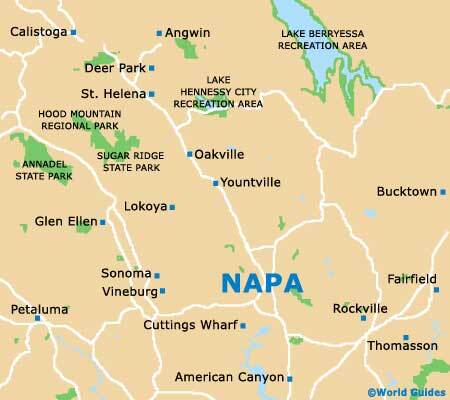 Let us know what you think about the attractions in Napa Valley, California (CA) USA. Submit comments about Napa Valley attractions here. I think your guide was probably George? Wow, what a fountain of knowledge he is. I've heard that some of the others are just as good but will personally request George should I go again. I knew already that most of the attractions around Napa Valley are wine-based but of them all Hendry Ranch Wines provided the best tour of all and that was mostly down to the education we received from a brilliant guide. Easy to find just three and a half miles from the town centre. Personally I thought that the Schweiger Vineyards in St. Helena, but located 2000ft above it, were the best in terms of scenery. An authentic family experience on winemaking too. We headed just over 20 miles in our hire car from the city centre to Pride Mountain Vineyards. The trip was well worth it and I though that this was the best vineyard because of its mountainous surroundings that provided great views. The wine we got to taste was beautiful too. A Californian family that we met in Miami but hails from Napa Valley told us that a scenic railroad such as the Napa Valley Wine train was the best way to enjoy the area's most breathtaking views. I'm definitely glad it was suggested and it was a great experience to ride in cars that date back as far as 1917.